This enormous archaeological complex is located in front of the sea, half way between the Huanchaco hot springs and the city of Trujillo, which is the capital of the department of Lambayeque, in the north coast of Perú. The site covers an extension of 20 km; the central zone is formed by 10 places with walls, called citadels, a few structures with a pyramidal shape, and the rest is formed by sidewalks, walls and cemeteries in bad shape. 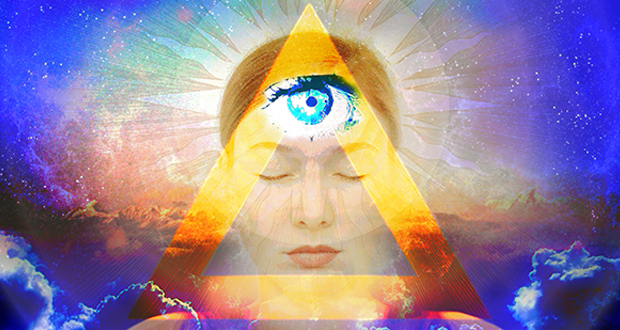 The all-seeing eye is a powerful esoteric symbol which is widely misunderstood and misused today; few know what it originally stood for. It was originally symbolic of a higher spiritual power or God, a watchful caretaker of humanity or an awakened spiritual part within. But these days it has quite different associations. Not unlike her sisters, Oya Llasan Yansan, brought a physical beauty to the world. Her appearance also brought great conflict to the orisa. Oya had eyes of amber they where large and round and very expressive. When the people made eye contact with her, they would fall under her spell. With her birth into the kingdom also came the breath of life and movement of air, great storms and tornadoes. 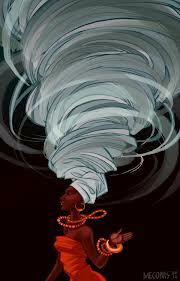 Oya is a Great Yoruban Orisha. She is the goddess of Storms and Winds, and Her realm ranges from rainbows to thunder. Her name means “She Who Tore” in Yoruba. She can manifest as winds ranging from the gentlest breeze to the raging hurricane or cyclone. “Macumba” (also known as Quimbanda) is the everyday term used by Brazilians in Rio de Janeiro to describe two types of African spirit worship: Candomble (followed in northern State of Bahia) and Umbanda (a newer form originating in Niteroi in the southern State of Rio de Janeiro). 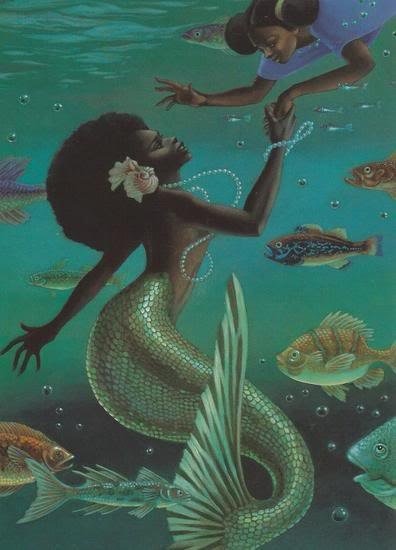 Myth of mermaids is popular all around the world, but the African water spirit Mami Wata remained respected and celebrated from the time before the African nations came in contact with Europe, through the ages, and even up to today where she is venerated in West, Central, Southern Africa and the diaspora in Americas. 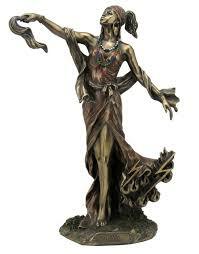 She represented one of the most powerful goddesses in the African religion of Voudun (not to be mistaken to the newer and more heavily publicized Voodoo) and is today celebrated as a goddess that must be both loved and feared.